The Really Big Sales Event is a great addition to April. Already a great time to look forward to with spring flowers, jelly beans, and chocolate bunnies, Easter car specials like the Really Big Sales Event give you green where you need it the most. Not that fake grass in a basket, but in your wallet. Honda has a wide selection of their new cars for sale with low Honda financing deals for 2012 that are easier to find then any egg hunt. While you might get more choices for a chocolate rabbit then these Honda financing deals, Honda has made up for the single flavor serving by offering you a wonderful selection of models to chose from. 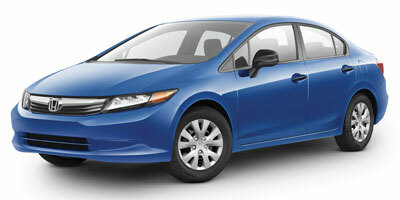 The only exclusions from Honda incentives April 2012 offers are the CR-V, CR-Z, Insight, and Fit. Every other of Honda's new cars for sale gets a 0.9% financing for 24 to 36 months offer. This includes a great selection of cars under 25000 in the Civic family lineup as well as the Accord family. With both the sedan and coupe versions eligible for both models, as well as the Civic Hybrid with 44 City / 44 Hwy mileage there's no shortage of fuel efficient 30 mpg cars which is great news for all of us who are feeling it at the pump with gas prices continuing to rise. If that old used car is killing you every time you fuel up switching to a newer more efficient car can be a real saver. Of course if you need something bigger then these cars under 25000, consider the Honda Odyssey or the Honda Ridgeline if you need to carry your family but still need room to carry your stuff. While the Odyssey is no match for those 30 mpg cars, its 19 City / 28 Hwy fuel economy is still a best for 2012 Minivans. A great choice if you need to get the whole family in one car for a holiday trip to Grandma's. These Honda financing deals are available until the end of April so you have some time left before The Really Big Sales Event comes to a close, but your chance to see what your Easter car deals your local Honda dealer has on top of these Honda incentives for April 2012 might only be for a limited time. It's worth your time to find out if there's an extra surprise hiding for you this weekend.